I poached some pears about this time last year, and I do it every year because they are still one of the best things you can do with one of my favourite fruits. Combine the almond meal, plain flour, salt and cold butter in the bowl of a food processor and pulse to create a breadcrumb-like texture. Sift in the icing sugar and pulse again to combine. Beat egg yolks and water together and mix into pastry crumbs with a metal spoon. Refrigerate for 1 hour. Roll out on a lightly floured surface and transfer to a greased 20cm loose bottomed pie or cake tin. 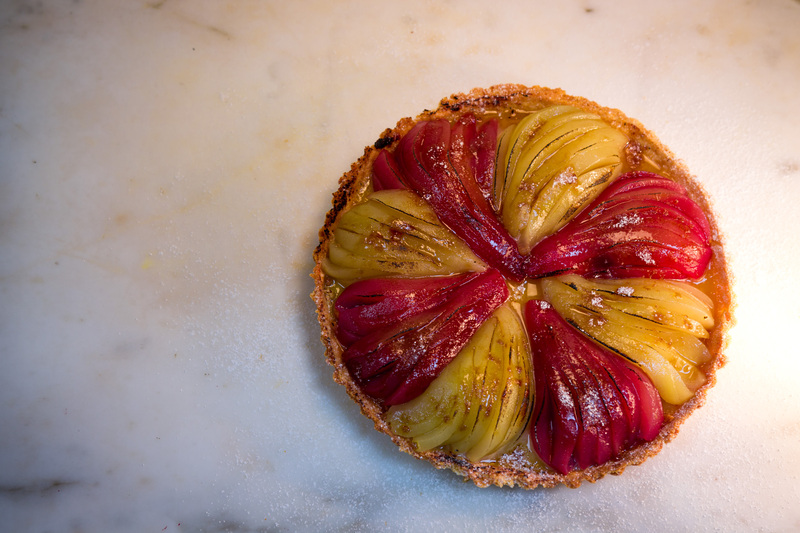 The pastry is unlikely to behave itself but any holes, cracks or gaps can just be repaired with an extra scrap of pastry. Prick the pastry all over on the base of the tin and freeze for at least 30 minutes. Blind bake the pastry for 10 minutes at 190C, then lift out the paper and beans and bake for another 20 minutes at 160C (until golden brown all over). Remove from the oven and allow to cool in the tin. Whisk the egg yolks, sugar and vanilla together until creamy and the sugar is dissolved. In a small saucepan over a medium heat, heat the cream until steaming (do not boil). Pour the hot cream in a thin stream into the egg yolks while whisking constantly. Add the ground almonds and mix well. 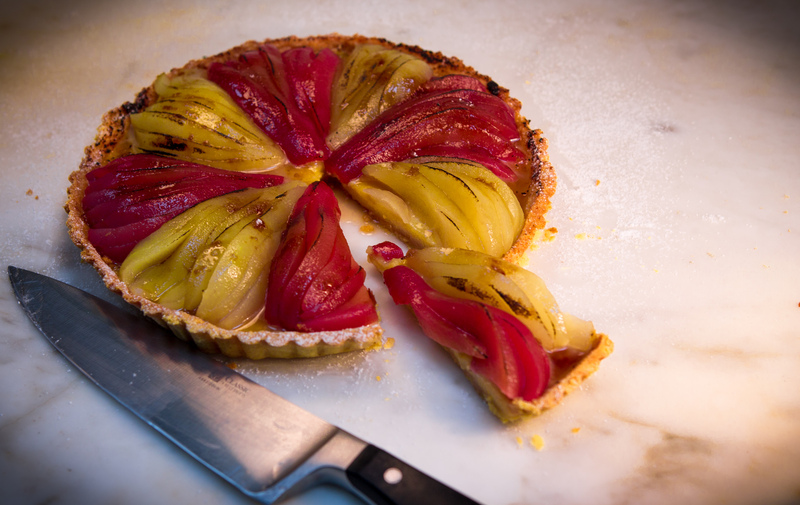 Spoon the filling into the blind-baked tart case and smooth to an even layer using a spatula. 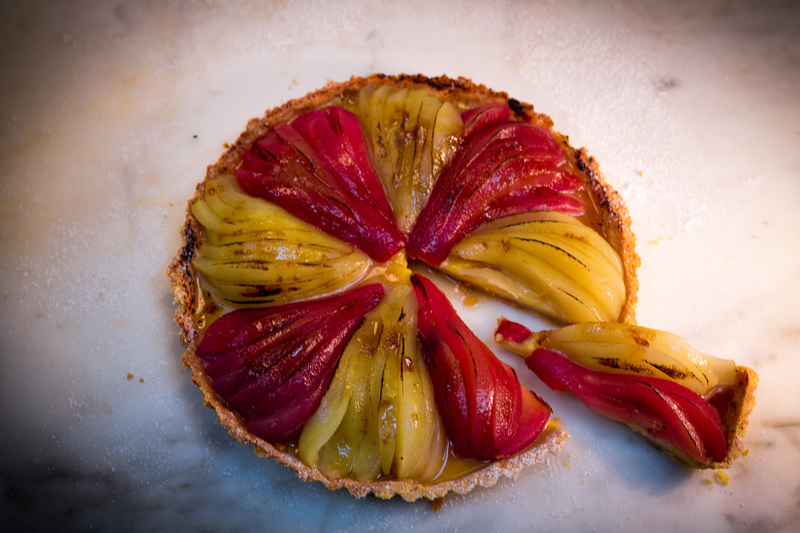 Return the tart to the oven and bake at 110C for 45 mins. The filling should be set but still unctuous. Remove from oven and allow to cool. 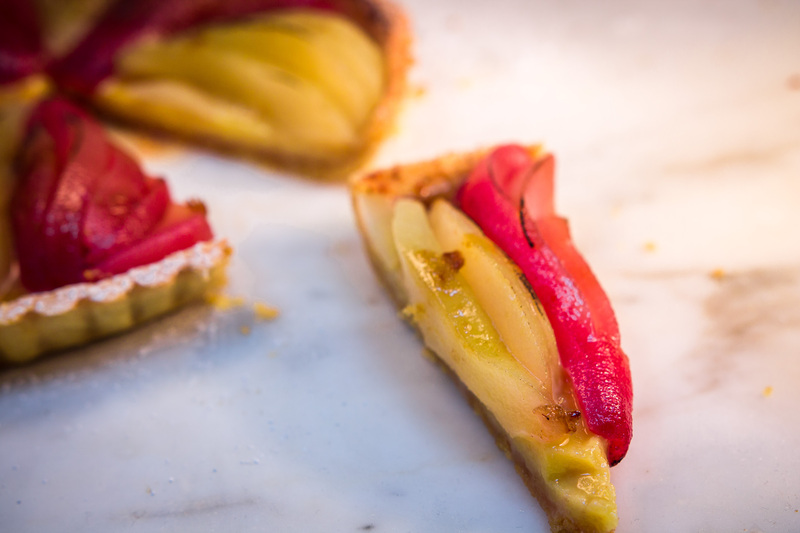 Arrange the poached pear halves on top of the tart and serve.